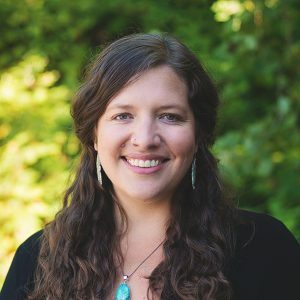 Dr. Kat Martin, a Naturopathic Physician and trained midwife, is a Licensed Primary Care Provider in Washington State. She maintains a family care practice that deals with acute and chronic health issues of all types. Attracted to obstetrics, pediatrics, and women’s health since she was young, Dr. Martin graduated from Bastyr University, receiving her doctorate in Naturopathic Medicine and becoming certified as a midwife. Dr. Martin focused her education and experience on being responsive to a person’s entire life-cycle: pre-conception care, pregnancy, infant heath, well-child checks, emotional development and counseling, and support of our aging bodies. As your naturopathic physician, Dr. Martin believes that health promotion and disease prevention are of utmost importance and seeks to optimize your health by calling on your body’s innate ability to heal itself, restoring balance to your emotional and physical being. Additionally, when further intervention is warranted, she works with the patient to figure out the best way that integrative medicine can help. She is honored to be able to help you on your own unique path to wellness. In addition to family practice, Dr. Martin has a passion for teaching. As Adjunct Academic & Clinical Affiliate Faculty in the Naturopathic Medicine and Botanical Medicine departments of Bastyr University, Dr. Martin combines her keen scientific knowledge with a distinctly human touch to foster a new generation of medical professionals, emphasizing rigorous and detailed learning anchored in the heart of the medicine. Also, she is a member of the Washington Association of Naturopathic Physicians and a board member of the pediatric Association of Naturopathic Physicians. Although her midwifery practice is currently on hold, Dr. Martin foresees a time when her medical practice, teaching schedule, and family commitments will allow her to dedicate the time and flexibility that responsive birth management requires. Dr. Martin lives in Seattle with her husband and two children. She spends her time away from the office cooking, gardening, singing, and crafting. She holds a special place in her heart for owls, rocks and minerals, and the Midwest.